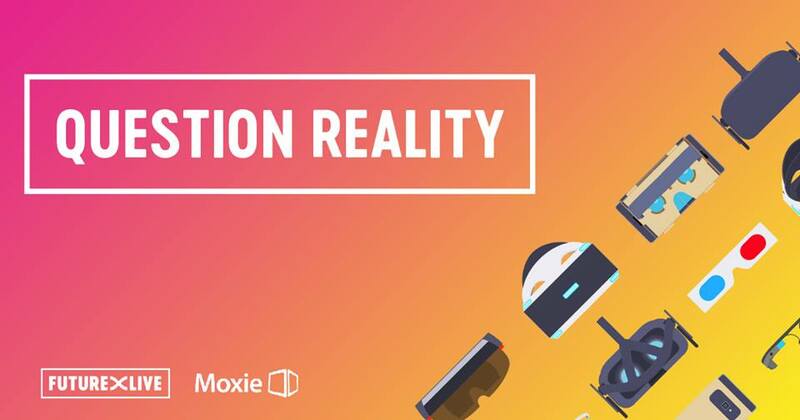 Attending the FutureX Live Conference hosted by Moxie showed us how brands can look at the future of advertising and marketing, to include a combo of virtual reality and 3D printing. Recapping some of the ideas the keynote speakers had on how the 3D print industry can take notes from the early days of virtual reality from as far back at the 1920s where the industry was damaged from bad content, but how getting out of the hype cycle actually drove that industry forward. Is that the stage the the 3D printing industry is in now? This episode on virtual reality 3D printing is sponsored by MakerBot. 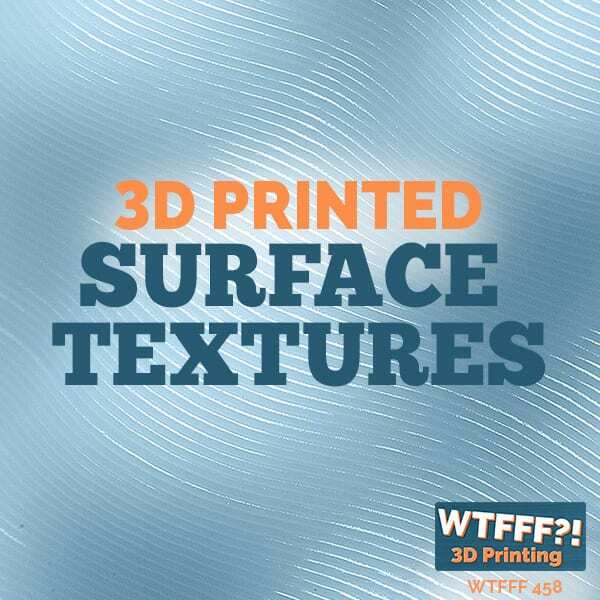 We’re going to talk about advanced technologies, especially involving virtual reality 3D printing today, because Tracy recently had the opportunity to go to FutureX Live. This was an advanced, really like a trade show, but also it’s like somewhat of also a mastermind of different companies involved in advanced technologies, trying to figure out where the future’s going. It was an event. It was sponsored by Moxie, who John Rich is part of, who we did an episode with. They really work with high-level brands and figuring out how innovation is going to change the way the brand messaging might be, how the brands going to interact with their future selves and their future customers, or how their existing customers are evolving into that. They work with like Delta Airlines and Verizon and big companies like that. This is really interesting, when we talked with John, we were really mostly talking just 3D printing. He’s fascinating. I got to see the 3D printing lab. Here’s the thing, I was invited to come and cover this event and I am in process of writing a couple articles for Inc. I recorded most of the speakers so that I could get quotes and various things that I needed for my articles. In doing so, it occurred to me that there’s a lot of excerpts from that that really you guys should hear. I am going to take and put sections of those transcriptions onto their own special blog posts on each one of these subjects, because each one had a different subject. It was really cool. The first person who was the keynote speaker in the morning was John Gaeta from Lucasfilm. We’re talking about The Matrix. We’re talking about virtual reality as, are we in The Matrix now or are we going to be getting into The Matrix in virtual reality? It’s like a conundrum. I’m thinking to myself, “Does this interest me?” I still have a good concept as to what I think of virtual reality, except that I think the headsets are god-awful. That’s about the only opinion that I had before I went in. I’ve tried a couple of them. I tried the Oculus Rift one. Recently we had the opportunity at the Digital Footprint Conference in Anaheim in October, we got to try out the HoloLens. We actually have a business associate who is a advanced tester providing feedback to them. He has had a HoloLens for a while now. He brought it in and a bunch of us got to use it. I have to say, I enjoyed using it. I think there’s a lot of great potential for the future. But the fit and getting it adjusted for my head and the position of my eyes and with my glasses and everything else, it was not easy. It’s the biggest hold back right now. That’s really what you think. It’s an unfortunate thing. In a way, it’s similar to where 3D printing was or is, I guess. Maybe a little of both. A little of both, is that the machines aren’t that reliable, they’re pretty clunky. They’re not really as easy to use as you would like them to be. But the potential is there and I saw that similarity. I get the least excited about a new technology. I am not one of those people who like goes gaga over stuff because it’s new. Anyway, we tell the classic story that it took me like months of working on, getting Tracy to agree to buy the 3D printer to begin with. To be convinced at the end of this conference and the end of this day, that we ought to be doing something in virtual reality 3D printing, that takes lot of really business case convincing for me. I have to say, I was pretty shocked when Tracy came back and she was all hot on this virtual reality. She was working on some advanced plans that we need to get involved in this now. I’m like, “All right, where did Tracy go and what did you do with her?” She swears she wasn’t drinking the Kool-Aid. Virtual reality 3D printing at the FutureX Live Conference. The reality is when John Gaeta started and talking about it, he called it the next form of escapism. He really put into place as to thinking about reality is, is just that we’ve been obsessed with escaping, escaping our reality. Whether it is through film, through entertainment, flying up into space. It doesn’t matter what it is. We’ve been searching for that constantly. The inborn desire from a human perspective, to escape from reality into a created world that we’ve imagined, a world that we created, that has solid psychological and experiential human behavior basis. To me, when it doesn’t go against human behavior, when a technology, a new innovation, doesn’t go against human behavior but actually enhances the desire you have to do something already, then it has a greater potential for success. My mind, 3D printing was harder because not everybody feels comfortable creating. Not everybody is a maker. A lot of people just want something convenient, they just want to consume. That’s really where 3D print had a very narrow niche to me. Especially in its early days when we were first looking at it, it was even narrower. That’s really where I didn’t see it as a player. I do see an interesting world in which there’s a place for everyone in somewhat of a mixed reality, virtual reality or augmented reality world. That there’s a benefit to it that feeds into something that our human behavior wants and desires already. That was a great way to start the day, besides being a completely entertaining keynote speaker, he’s fascinating. There was this big debate partway through about whether he would have the red pill or the blue pill. That was very funny. There’s a whole thing going on about that. The reality is that the idea that they bring up are some of the same things we were struggling with 3D printing. Is, which one are we in? Is it actual reality or is it a simulated reality? Are we really creating objects that are real or are these poor imitations of 3D scans are poor imitations of real products or less performance capabilities? I had a fascinating conversation with Jonathan Strickland, who is the senior writer for the Tech Channel and does the show How Stuff Works. I don’t know if you’ve guys have ever seen it, but it’s a fun show. He talked about how alternate realities work. He went back through historical, how really virtual reality has been around since 1929 when they were first creating plane simulators, and really where you had the first set of what would be haptic feedback, feedback where you feel something happened. You’re in a flight simulator and you actually tip and feel gravity in the certain direction. You feel a vibration, a shimmy, or whatever. It’s telling you, you’re not flying right, change it. It was the first opportunity to learn how to fly by instruments rather than visual. This was back then. What I thought was really most interesting, his name is Edwin Link. They call it the Link Trainer, this plane simulator. What I thought was most interesting is his family created what you would consider to be HVAC today, but it’s of course not that in 1929. They had pipes and metal tubes and all sort of things. He coupled it all together to create … You had to. You didn’t have duct work available at Home Depot. Sensorama from the earliest days of virtual reality. 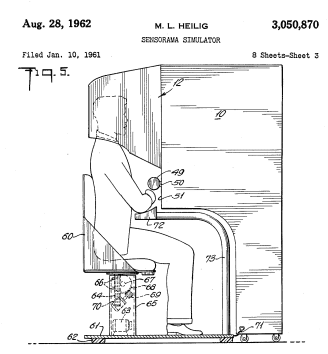 If we think that the HoloLens or the Oculus Rift is clunky today, you should’ve seen the simulators back in 1929. There was other things in the 60s called The Sensorama in which they were basically doing 3D movies and things like that. You look through all of that. 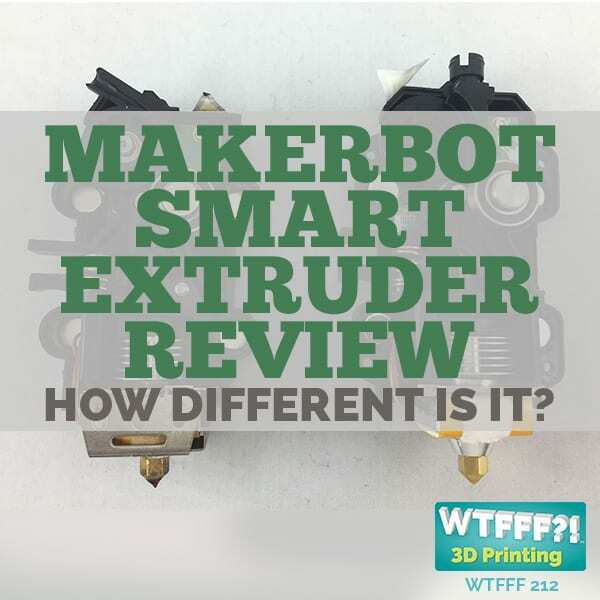 The real problem is actually the same thing, what he highlighted, which I found was so interesting, is the same problem that we have in 3D printing. In the 80s and 90s, they did some of these virtual reality movies, like Tron and The Lawnmower Man and things like that. Nobody’s going to want it if it’s done that badly, but if it’s done well, maybe somebody will. That’s where it had like investment problems and a whole bunch of things. 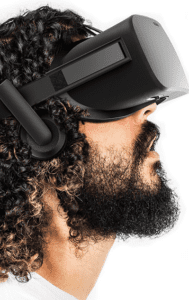 His opinion, which I thought was the most interesting part about it was, that getting out of the hype cycle was actually the best thing that could have happened for virtual reality’s advancements. It may be the best thing that’s happening for 3D printing right now too. I hope it is because I remember, when was this? It had to be in the 90s. There was that movie, Disclosure, with Michael Douglas and Demi Moore. If you look at that movie now, the representations of email are incredibly dated. Email was still novel at that time. I remember in 1995, I think my only email was an AOL address. That’s when you were still dialing into AOL and then getting on this thing called the World Wide Web. All of that was in its infancy. They had a representation in that movie of a virtual reality world. You had to step on this platform, which I think was just all Hollywood garbage of this is the place where you do it. Walking around the room with your goggle headset. You had this headset you put on that is really not all that different from the Oculus Rift or the HoloLens in concept and even visually in that movie. When you look at how the movie represented the three dimensional people, the avatars that are in there that you’re interacting with, it really is not that far back in representation from where Oculus Rift was a year ago. I think that the HoloLens, while definitely much more advanced in what it is and does, I’m not trying to take anything away from it, the HoloLens graphic and user interface and all that, it’s not that much different from that representation in that movie a long time ago. I see where you’re going with this and I’m hoping what you’re saying about 3D printing is actually correct. It’s that the idea that taking out that sort of intensive pressure of having to turn it into making money as fast as possible. You pull out those kind of intense investors that are hype investors, just jumping on the bandwagon because it’s the latest thing. You remove them into the people that are very serious about long term profitability in 3D printing, long term benefits from it and the overall innovation, belief in the innovation, which is where we are with it. Which is why we’ve been taking the nice slow road to developing our plan and where we’re going to go and what we’re doing with it. 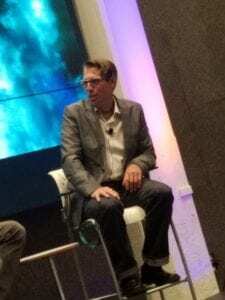 John Gaeta, one of the speakers on virtual reality 3D printing, at the FutureX Live Conference. When you look at that, then you see people who are really in it to make it better and make the world better. You find great adaptive uses for it. You find ways that will stick, ways that are the right fit. We talk about that all the time, about products. It has to be the right fit for the right audience. That’s really what this day was all about at FutureX Live, which I really loved. I had the most fabulous discussion with the head of their company and head of their innovation division and just loved the way that they worded everything about what their belief was. Their belief was that, it is their job as marketing and advertising executives, to explore this technology on behalf of their clients. Because their clients can’t see to the broader application of it. They only see narrowly, as to, “I have this to sell today. How am I going to sell it?” That’s their focus, that’s what they need to focus on, that’s how they make their money today. That’s really where I think some of the new and some of the more interesting things as well in research side of virtual reality was coming about, and the idea of persuasion in virtual reality. Well, what does persuasion mean in virtual reality? The behavior aspect and whether or not we’re being persuaded through virtual reality in a good way or a bad way. It could be negative. Your brain doesn’t necessarily distinguish between the virtual world and the reality world sometimes. It’s not because we don’t recognize it. It has to do with an immersion into it. They did this study, for instance. They took basically what looked like sweatshirt on your arms. Of course, these are fake arms, don’t get me wrong, they’re not your real hands in front of you. It’s an avatar representation. It’s an avatar representation of your arms. What they did was they just plastered some brand names, some strange name that you’ve never heard before. It was like it was printed on the sleeves of your sweatshirt. You’re doing things like picking up objects, drinking coffee. You’re just doing normal things. You’re doing things that are unrelated to what’s printed on your sweatshirt. It’s just these words are there. It’s like you’re wearing your school logo but it’s on your arms. Across the way is another avatar of somebody else, someone you possibly know, but don’t necessarily. They’re wearing a different brand on their shirt. What they do is then afterwards, after you’ve gone through this and you do this a couple of times, they sit there and they assess your responsiveness to that brand by asking a bunch of questions, research questions. How positive are you about this brand, do you like this brand, what do you think of it? You don’t really have any experience other than just wearing that name on your arms. You’re wearing a brand and the other avatar was wearing a different brand. You’re being asked questions about the two brands. It’s just that we inherently, in our brains, have a positive bias of ourselves. Anything that we do ourselves … That’s why when it’s in a first person situation, we believe it more. We are naturally connected to it. Thinking about that, in a virtual world you could get easily manipulated into buying a brand that it doesn’t even benefit you. Or you have no experience with other than in that VR world. But you automatically start identifying. We see this in gamification and you see out there in the games and people really believe that they are elves or whatever. After a while, like they start to identify with that group so strongly. This is a same kind of thing. You have a sort of self endorsing hyper personalization that can happen with that. It can be done for good or it could be extremely exploited for bad. That’s something that we have to be aware of, especially with their kids in a virtual reality environment. It got me really thinking about the idea of interacting better than we do online in eCommerce. We don’t pick up our objects on Amazon, we just look at them, we just flip through a bunch of pictures on them. We don’t have that kind of identification of it. 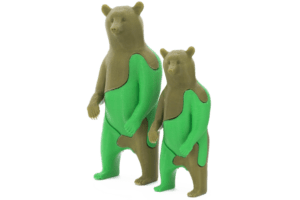 Albert – part of the LockNesters 3D Print Puzzle Toy collection. We were talking to LockNesters, which is an upcoming episode. Once we had his toy in our hand and we were picking it up and playing with it, when we were looking at it and holding it in our hand, we had a much better experience of it than you do when you’re looking at it online. Definitely. No question. If even in a virtual sense, you see your hand and you’re picking up an object and you’re turning it over in your hand, can you imagine the transactional sales? That’s going to go up higher. There’s going to be a much better connection to those objects and the shopping could go crazy at the same time in terms of not being good and being more like gambling at some point. Shopaholics, beware. The idea of that is just so interesting. The merging of that virtual and your real self and what that does back to you personally and how you transact and you buy and you live and you identify. Sounds fascinating. It’s hard to imagine where is that in our homes, at our desk? It’s an accessory to our laptop or it’s its own laptop, maybe like the HoloLens is its own computer? You’re going to have some gloves you put your hands into so that you can not only see this product you might buy, but you can feel it? It goes even further. There’s a couple of people that they were talking with. There’s a company called Ryot that was bought by Huffington Post. Of course, you know that Facebook made a huge investment and bought out Oculus Rift, I think. You these large networks of people, communities and/or, in the case of Huffington Post, USA Today. They’re all invested in some kind of virtual reality or 3D technology of some kind. There’s a reason for that. That’s because you get much more involved in the stories. The CMO of Ryot, Molly DeWolf Swenson, spoke. She was talking about influence and empathy and the way that they develop their business and how it turned into a virtual reality business, which it hadn’t started that way. They first started as a news website and blog. Then as their audience grew, they started to do more of these documentary films, expanding on topics where these are all cause-based. They were always talking about cause-based topics anyways. Their news site was always focused on that. As that audience grew, they started to do these documentary films on it. Then these NGOs started to ask them to create films for them because they had this audience. They said, “We want to create a bigger awareness. Can you create a film for us as well rather than just this blog post?” They started to do these contract films for the NGOs. They would get them sponsored by companies so that they could afford them. Then it got to be where they had a partnership with AOL and Huffington Post. That came in and that really was only about six months ago that that happened. Once that happened, then they really could go full force into these 360 videos and the virtual reality. Molly DeWolf Swenson and Drea Bernardi speaking on virtual reality 3D printing at the FutureX Live conference. What happens is you take what was a passive reader and now they are active participants, taking into activation and being a part of the cause, helping the cause and taking that even further because they feel that they have an ability to affect the solution. That’s merely by walking through that environment, physically going through and being able to explore 360, everything about what’s going on. They’re really seeing a higher conversion rate, if that’s the term, old kind of content conversion rate. They’re seeing a higher conversion rate into action. Where you might have put out a video or a blog post and then maybe a few people would click through to it, you’re getting a much higher rate of transaction going on and donations happening and/or active volunteering happening at a much greater weight with all of the virtual reality and 360 technology they’re using. Wow. I can see in the future … You know how there’s the expression, “Oh well, if it’s on the internet, it must be true.” I can see in the future, they’re being, “Oh well, if it was in VR then it must be true.” Be careful. I can see how this can be a slippery technology in that regard, where seeing is really believing. Being more immersed in it is believing. 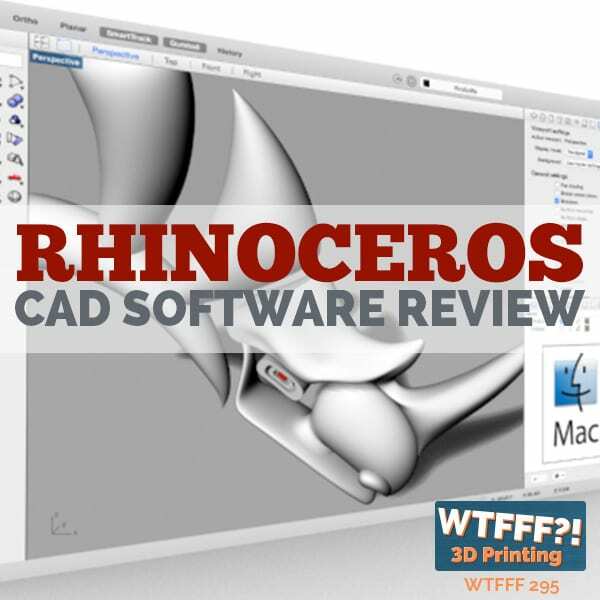 I remember back in … Gosh, it was the early 90s when 3D Studio Max, which wasn’t 3D Studio Max then, it was just 3D Studio, it was really one of the earliest, most accessible 3D modeling and rendering CAD packages. I used it then. I was doing animations of products I was designing to show clients how they would work before it ever existed. This had really never been done before. Every company that I was showing this to, it was new to them. They looked at it and they believed it. They wanted to buy whatever it was I was selling as a service. They could use this as a sales tool. It just opened up a whole new world for them. I can see VR being similar in this regard. Obviously, probably on a bigger scale and having much more impact because it’s immersive. Just think about this, who becomes the biggest advocates for something? Whether it’s raising awareness for a cancer research or other things like that. When you experience it firsthand, when you see disasters and drought and all of these kind of things happen firsthand, you become an extreme advocate for it. That’s the best thing possible because now, you have firsthand experience, you’re immersed in it, you have empathy for it and you feel empowered to make a difference. If by just getting virtual power gets you to action, that’s a great thing. They talk about this also from a research side, is that health and well-being virtual reality in the health world is being used by many doctors and clinics and other things help people quit smoking, exercise more, do all these things. Because when your virtual self no longer believes that you’re afraid of flying, your real self is no longer afraid of flying. You can actually do that. These are the kinds of things that we can train our brains to believe. I wonder if that’ll really be true, because every time we go out to Nevada and go to the Hoover Dam, I look over the edge of that thing, my legs get shaky and I have to move away. I can’t look over the edge of that dam, that thousand foot cliff, man-made cliff if you will. I got look at the other side, over down at Lake Mead, looking down 100 or 150 feet at the water. That’s no big deal, I can handle that. I wonder if I was in a VR world at the Hoover Dam, looking over there. I don’t know that it’s going to cure me of that feeling and that fear that makes me move away from the edge. It just scares the heck out of me. That’ll be interesting to see. Maybe we could do it. We will go through the simulations. They had a simulation that … I have to say, I have to admit that I chickened out and did not do it. They had a virtual simulation where you lay back, you have the virtual headset on, they put a blanket over you or sheet over you and you laid back and they basically scare the crap out of you. They would just do the biggest, scariest things that you could possibly imagine. I don’t know if spiders crawled all over you. I couldn’t go in the room. It was the ultimate Fear Factor kind of experience. I didn’t do it because I don’t really like to be scared. It’s just not my thing. I don’t love horror movies. The idea is this is a game. You go in there as the ultimate haunted house. It’s scary. It’s not my thing, that would not be my entertainment. They had some other ones that were kind of fun to play with, but that was not one of them for me. The other thing about the FutureX Live Conference is that there were some amazing women there. The audience was really broadly aged. Millennials through the baby boomers. There was a huge age demographic, great gender split in the audience. I was really pleased at just the kind of companies that were there as well. I think they did a great job of attracting a fabulous audience who was very interested in subject matter. You don’t see that from a lot of events today. 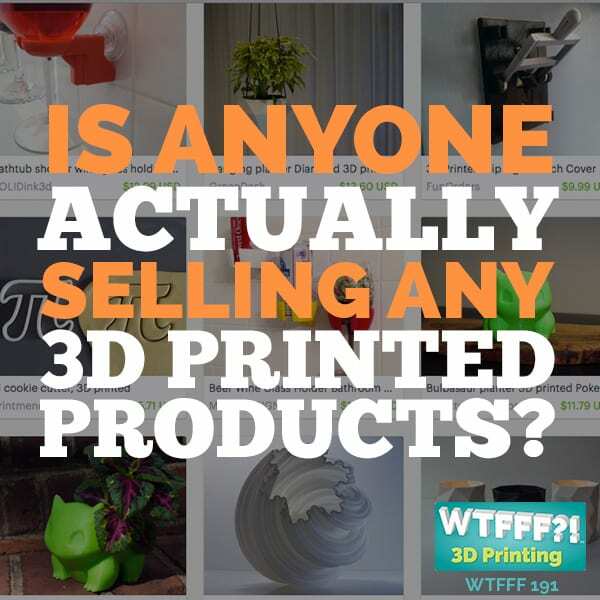 They tend to be very … Well, we see it all the time in the 3D printing world. Pretty much, no women on the docket at 3D print conferences. There’s one down in San Diego in December and there wasn’t one single woman on the conference docket at all. I think that it’s important for us to get a viewpoint that’s outside of just your standard industry expert to reach out. We’ve got, the Discovery Channel has a whole VR department. Like I said, USA Today before. Just amazing amount of creators as well as companies just expanding and going into the branding side of things as well. When you really think about all of that, that’s so critical. That seems like a no brainer to me. We say that all the time, content is king. That is it. But so many will just go straight to the novelty side of it and just say, “Hey, we did something in virtual reality,” and not really take it seriously. Looking at that from a storytelling perspective is a really interesting way to think about it because it’s one thing to go through it and it seems like you’re just playing a game. Do I really care about doing that? I don’t, but if it really is telling me a story, if it’s putting me in the story, all of those things are making a bigger difference to me as to how I experience it and how I experience what you want me to experience in the brand. 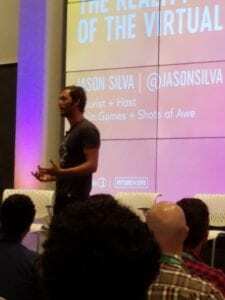 Jason Silva at the FutureX Live Conference speaking on virtual reality 3D printing. Because you should know enough about me. I’m not actually gluten-free, I’m just using that as an example. We have a gluten-free daughter. If you were gluten-free or if you had some dietary restriction, there’s no excuse in today’s world to not know what’s in our shopping basket and to not know these things. To put a brand in there just as a brand placement, because they paid for it, but it’s not a fit for me, what does that do to your recognition of that? It hurts the whole experience of it. That’s really where you have to think about that right fit. I thought that that was kind of a fabulous point that she made. It’s no different than Facebook advertising today. When you think about all the information it’s just pushing through to you. It doesn’t actually know me, just the algorithm knows me and knows how to find me and will put the things in front of me. It needs to be the same way in that virtual reality world. It needs to be that sensitive. Because your brain will instantly say this is not a fit for me. When it’s not a fit for me, the whole thing falls apart. You got have that work. My favorite part of the whole day was that I got to sit down with Jason Silva. I have to say that I kind of geeked out a little bit and had a little celebrity crush there. He’s a futurist and the host of Brain Games, which we love that. He showed us also some Shots of Awe. Not like a tequila shot of awe, but they might as well have been. It might as well have just gotten a shot of adrenaline. To close that way with a keynote at the end of the day with that kind of inspiration and power was really impressive. He looked at technology as, “A scaffolding where we build our tools so that the tools can build us.” I loved that quote. I just love the idea of thinking about 3D printing being that. We’ve built 3D printing so that 3D printing can build a better world. We’re making building blocks that we can build anything out of. His point was just that, this is not new. This is like been happening since we emerged onto the Savanna. But that it feels disruptive to us because it’s happening at a pace that isn’t linear and local and generational. It’s exponential and global and so it feels overwhelming and disruptive. But it’s really not. It’s just our capacity to handle it hasn’t caught up yet with the speed at which it happens. Which is staggering to think about because I think our capacity to continue to process more and more information, the threshold is continually rising and it needs to. It’s not rising at the pace at which the information is coming. We’re catching up and speeding up, but we haven’t caught up to the speed at which it’s doing it because it’s exponential so it’s ahead of us. We just need to invent the 48 hour day and then we’ll get more done. He left us with this idea that we should redefine billionaire in the next decade, but definitely the next couple of years. Redefine billionaire as not someone who makes $1 billion, but someone who positively impacts a billion people. That sounds like a great mission. I thought it was a great mission and I thought it was a really great viewpoint. He’s saying, “In no way does that mean that financial reward doesn’t happen, it may be multi billion in reward.” If that’s your goal, your goal is that level of impact. I think Wendy Lipton-Dibner, our good friend who’ve said to focus on impact, would totally agree with him on that one. He just blew my mind with these videos that he put out. They’re just fascinating. You just want to run out of there and go experience someplace new, try some new viewpoint on the world. They’re all done in the 360 and high mixed reality, although you can’t always experience them because you’re watching them on YouTube. If you have the right device, you could. He’s been doing a lot of those videos and just fascinating. I was really impressed by it. All week that this is going on, I’m going to be pushing out my favorites of the shots of awe videos and some of the other virtual reality connections. I’ll be pushing that out on social media all week and you can find that @3DStartPoint as well as @HazzDesign because some of those are going to be coming for my Inc. column as well. Hope you all enjoyed that. 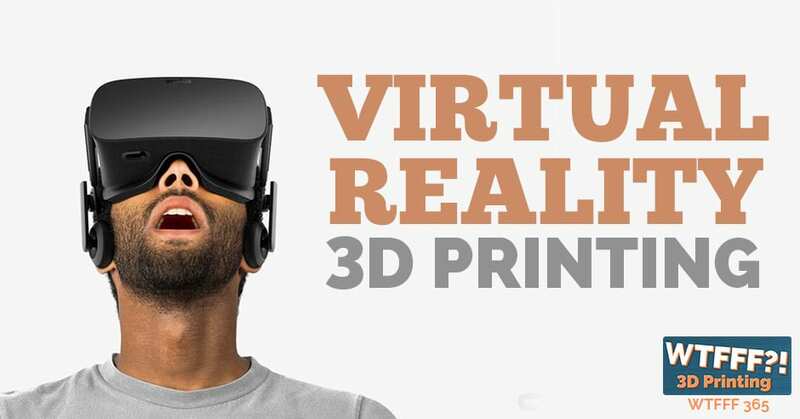 It’s good information on virtual reality 3D Printing. This conference is new but it’s the future. 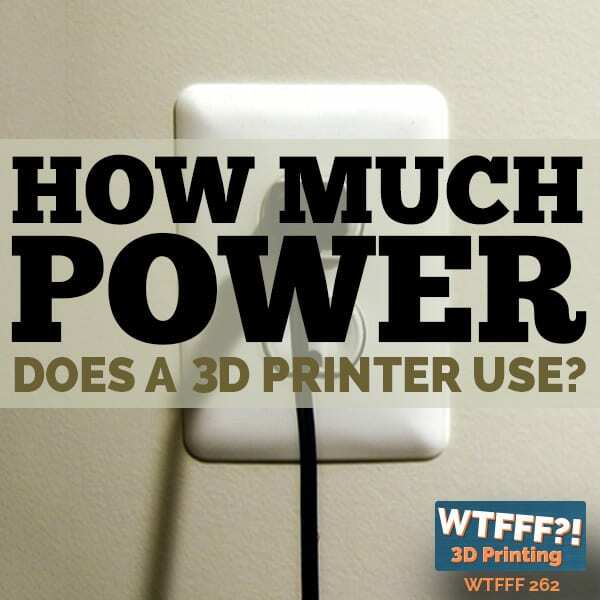 I think there are a lot of ways it relates to our world of 3D printing and all that new technology. Everybody, we’ll be back tomorrow with another episode, probably a little more conventional within our normal subject matter.